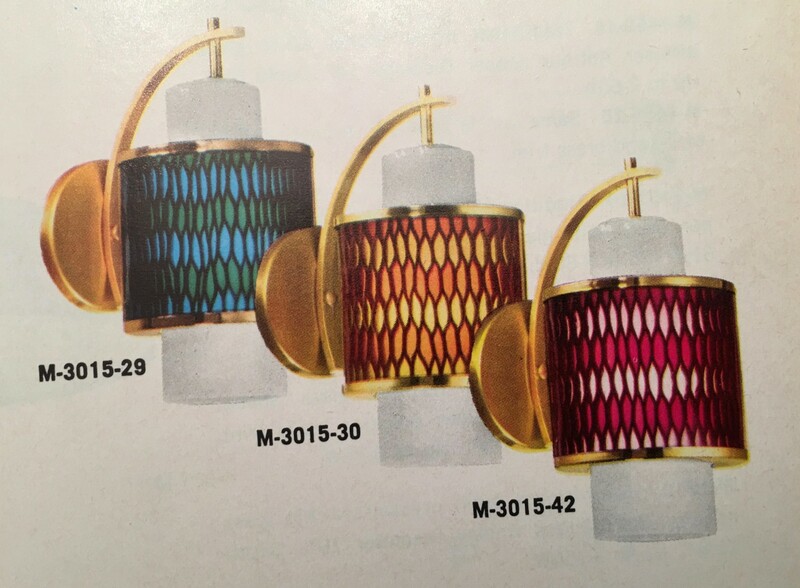 In the 1960s Moe Light introduced their Honeycomb Series. The line featured shades made of resin honeycomb. Sooooooo incredible when lighted! Beautiful unlighted, too. Sadly, I only have one sconce. 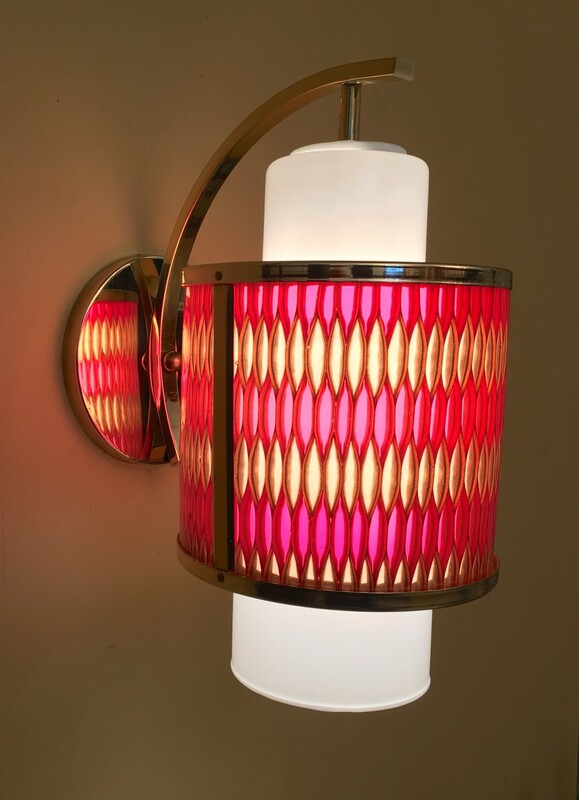 I never buy single sconces but there was NO WAY I would pass by this knock-out. 4 Responses to A Honeycomb by MOE! Wow, that is very cool indeed! The colors and textures are very different, but the form is similar to some higher-end modern lighting I’ve seen lately. It’s interesting to see how some of those things come back around. Neat! 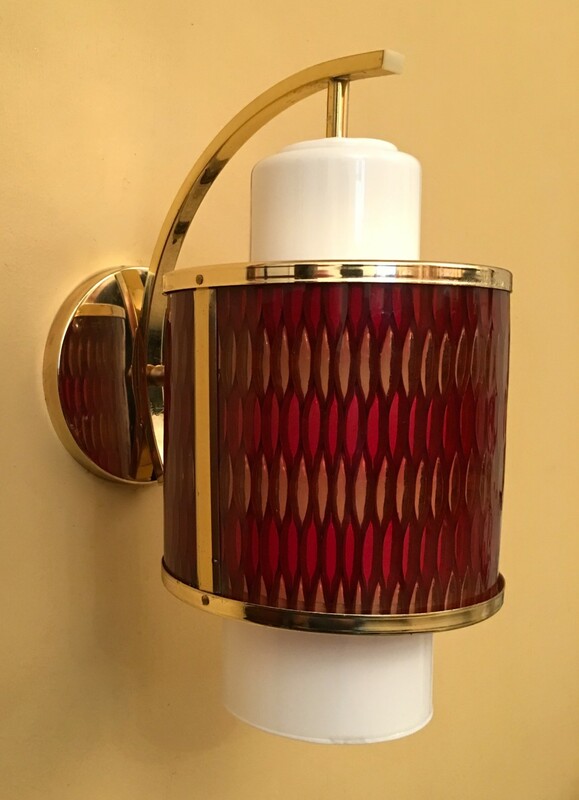 My mother has a large pendant light that matches this which she bought new in the 60s. I have a blue honeycomb saucer lamp. Can u tell me Anything about it?